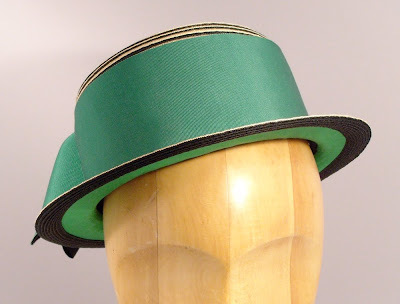 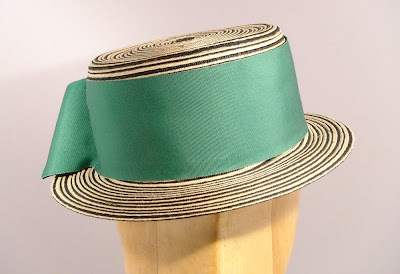 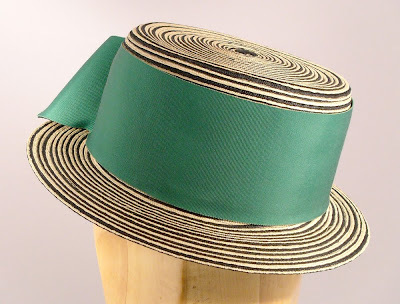 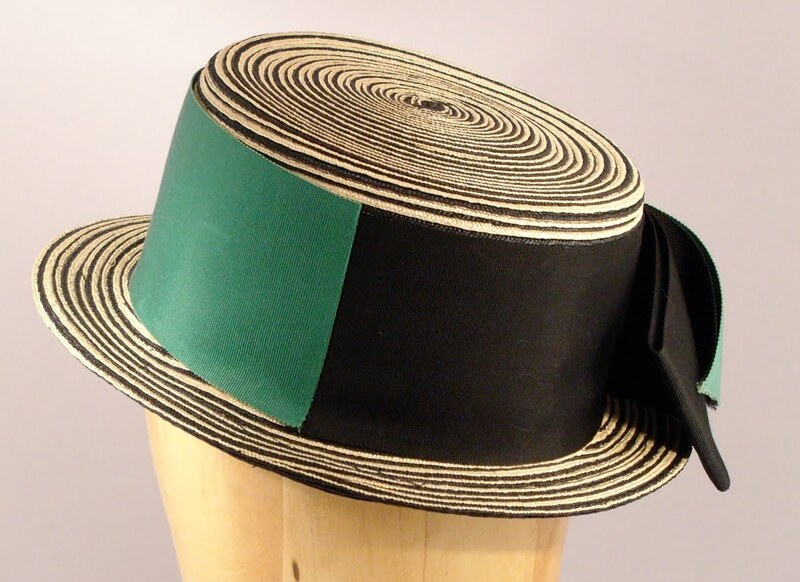 One from my own collection, a striped straw boater, probably from the early or mid 1960s. 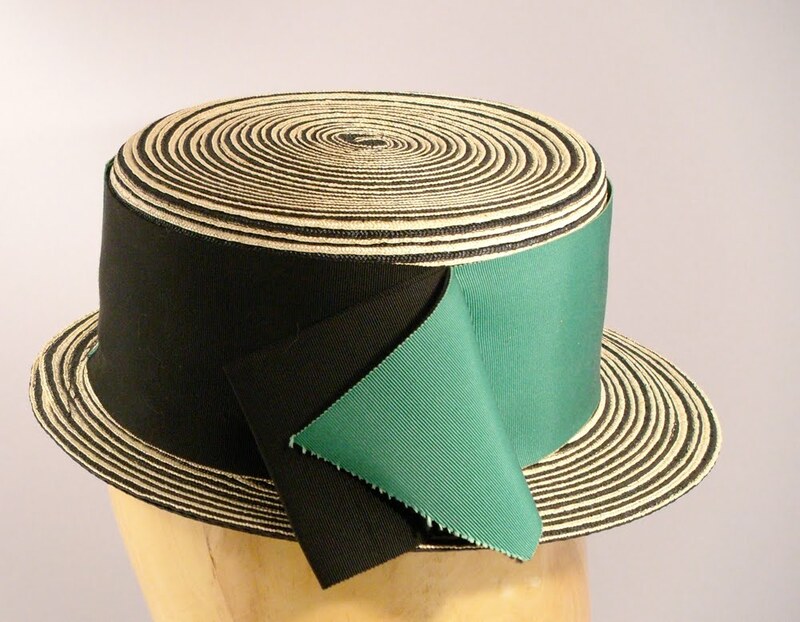 Alternating black and ivory straw braids are joined with spiral sewn construction. 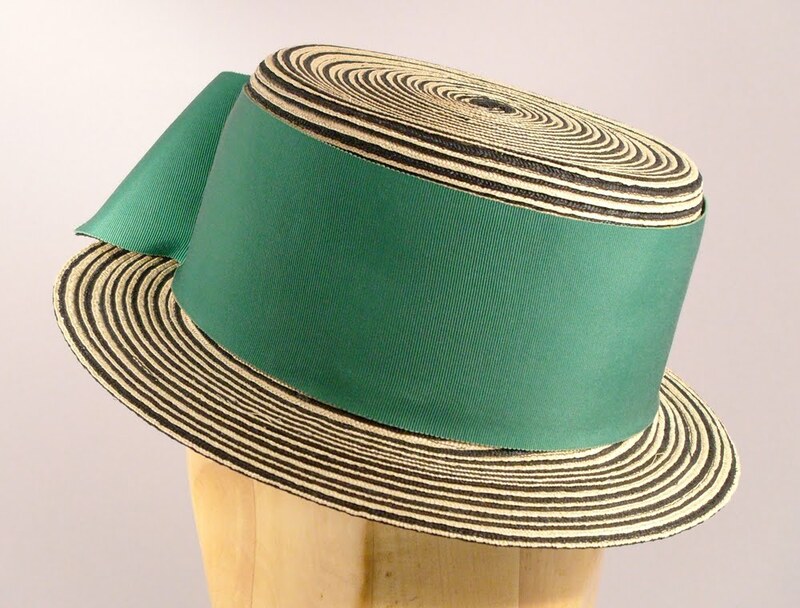 As you can see in the second photo, the underside of the brim is lined in green silk fabric. The crown is slightly offset, so the brim is narrower at the back than at the front. The wide ribbon band is half black, half green.